PPC Scope is a tool for Amazon sellers to manage their sponsored product ads, with the main focus being on eliminating negative keywords. Is Sellics an Alternative to PPC Scope? Yes, our PPC Manager is a great alterantive to PPC Scope. 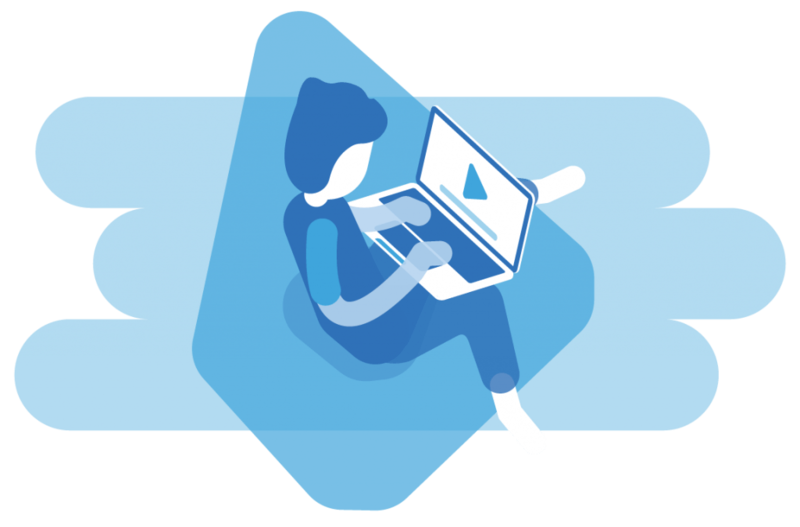 We put a lot of time and effort into developing our PPC tool, because getting your products in front of the right eyes is the key to growing your business. But where others stop, Sellics continues. 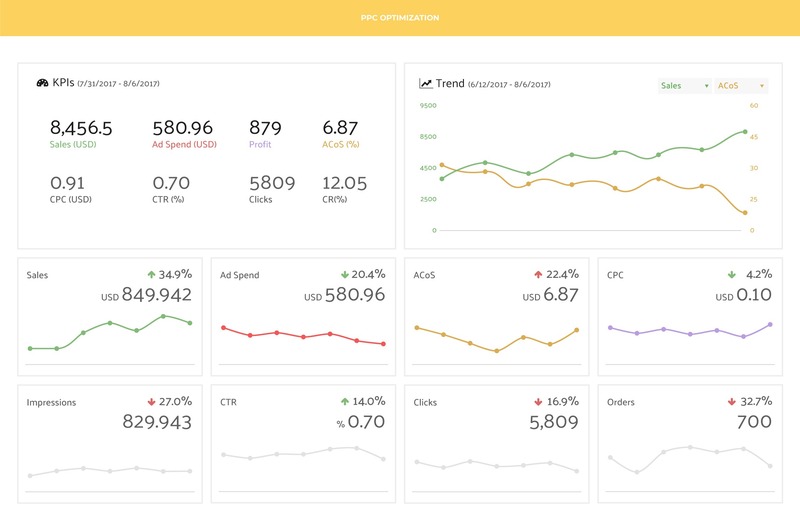 So on top of an effective PPC tool, we include six more features in our toolbox, focusing on all important areas of your business: SEO, Competitor tracking, Inventory Management, Profit Analysis, Review Management and Product Research. So yes, we offer an alternative to PPC Scope – and then some more, at no additional cost. Successful PPC campaigns are build on profitable keywords. That means you need to eliminate keywords that aren’t landing any hits, as suggested by PPC Scope. But then you also need to invest into keywords that are driving your campaigns forward. So we’ve included automated bid adjustment, in addition to negative keyword elimination. And that’s not the only addition that’s included in the Sellics software. Because where others stop, we continue. That’s why there is a total of seven tools included in Sellics’ all-in-one solution. Seven tools, integrated into one easy-to-use suite. Seven tools to ensure your success on Amazon. For sellers running Amazon ads, optimizing keyword bids is one of the most important yet time-consuming activities when it comes to PPC management. 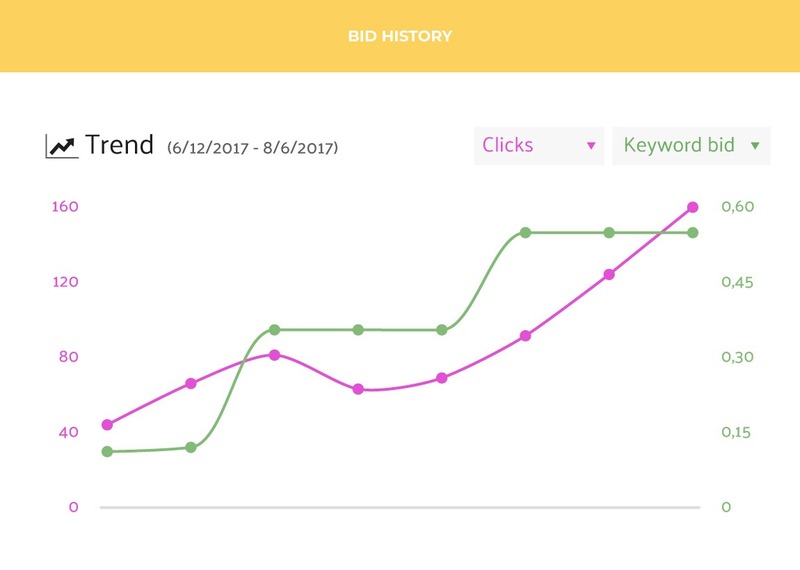 Our new PPC Automation will allow you to create custom rule sets that automatically change your keyword bids based on the keyword’s performance. Automated keyword bid changes based on your pre-defined criteria. Automatically pause keywords in your Manual Campaign. Automatically set search terms to Negative in your Automatic Campaign. Have you ever wondered if all the changes you make to your campaigns really pay off? If all the time you invest into managing your campaigns is really worth it? 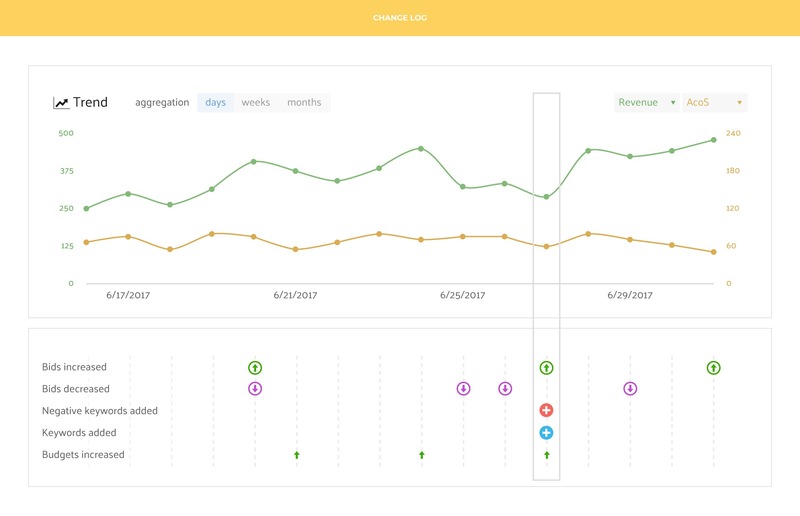 Sellics automatically tracks all your changes and shows you how each change affects the performance of your campaigns. Finally understand what really drives the performance of your PPC campaigns. 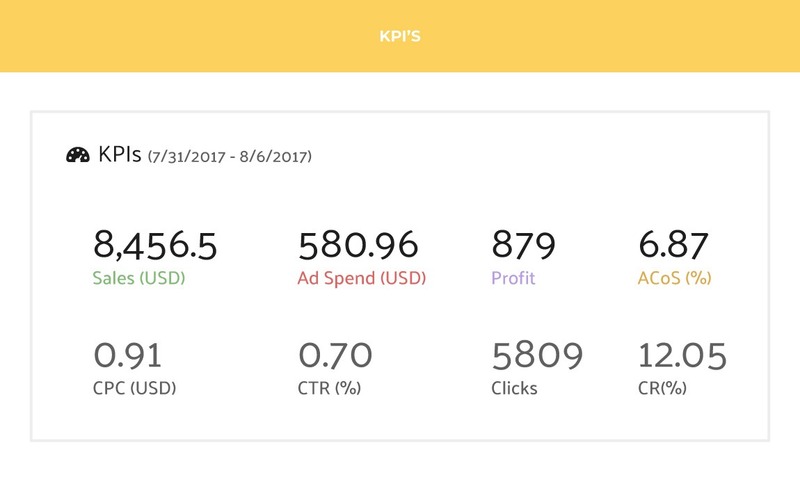 Sellics automatically tracks every single change you make to your PPC campaigns. Changes you make to your keyword bids, budgets, added or removed keywords are all visualized for you. Learn from the past and get a real understanding of what really affects your PPC performance. The changes you make to your bids provide valuable insight into how you can optimize your keywords to increase your profit. Understand the positive or negative effect of your bid changes on your impressions, CTR, and conversion rate. Change your campaign status, keywords, bids and budgets directly in Sellics. Easily identify irrelevant search terms to add to your Negative keyword list, and move your profitable keywords from your automatic to manual campaign in seconds. 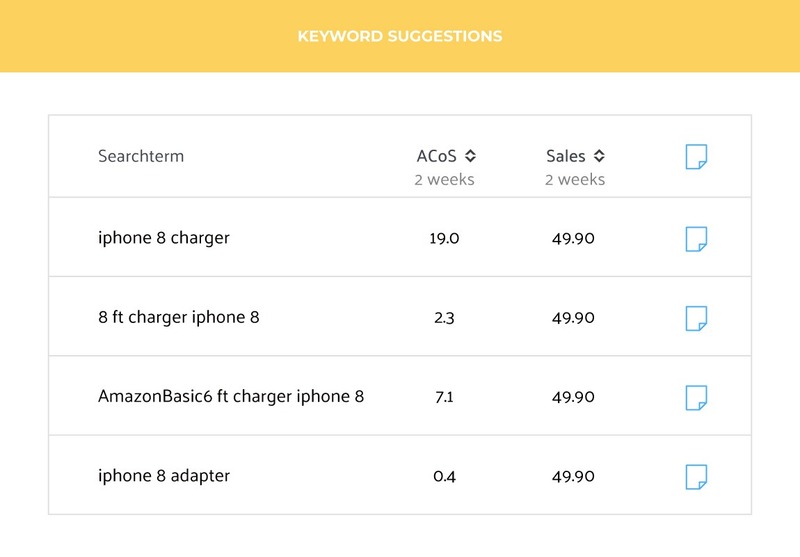 Use our PPC Optimizer to identify and optimize your low-converting keywords. The Sellics PPC Manager is fully integrated with the Amazon Product Advertising API and is updated daily. Simply click on the ‘Connect PPC Manager’ button in your Sellics Dashboard to connect your Seller Central account. Your Amazon data is secured with us, and you can disable access at any time within Sellics or your Seller Central account.